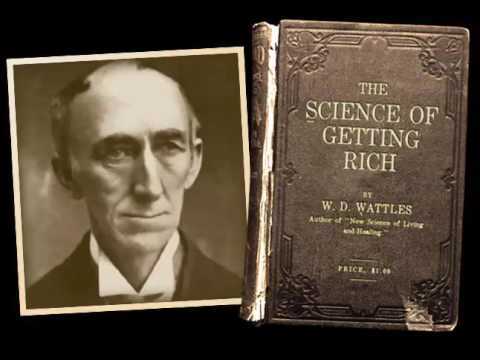 Wallace D. Wattles (1860-1911) was an American author, social commentator, and New Thought practitioner. He's best known for his 1910 book The Science of Getting Rich. He was plagued his entire life by extreme physical frailty. His daughter, in a letter written about his life after his death, described his death as untimely. His many articles and books produced numerous positive quotes that are still cited in the 21st century. Here are dozen of his best quotes. We must remember that this is not a bad world but a good world in the process of becoming. Because all things have contributed to your advancement, you should include all things in your gratitude. There is no reason for worry about financial affairs. Every person who wills to do so may rise above his want, have all he needs, and become rich. The distinguishing characteristic of all really great men and women is an unwavering faith. Knowledge of truth is not often reached by the processes of reason. It was due to a spiritual insight. Every man has the natural and inherent power to think what he wants to think, but it requires far more effort to do so than it does to think the thoughts which are suggested by appearances. What I want for myself, I want for everybody. Add the power of positivity to your playlist. Download mp3 affirmations here. All my best to you and yours!